DANG, March 4:Rolpa, the youngest district of Rapti region was taking baby steps towards development when it was gripped by the armed Maoist insurgency. Development activities came to a grinding halt while existing infrastructures were destroyed. This pulled Rolpa backward in terms of progress. After a decade of conflict, the rebels entered peaceful politics and even came to power but Rolpa did not get the priority, it expected. This left Rolpa residents utterly disappointed. 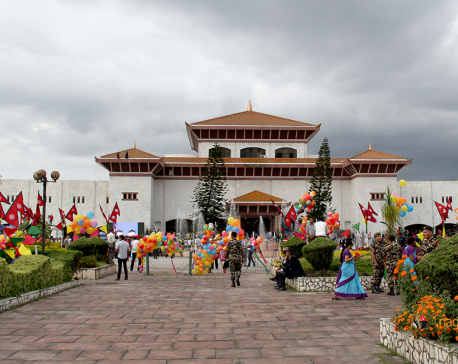 The ongoing preparations for local elections, being held after 19 years, have shown new ray of hope. If the elections take place as willed by the government, Rolpa will definitely tread on the path of development, they say. “The news of local elections has indeed brought positive vibes. We feel that development activities will gain momentum once the local polls are held,” noted Krishna Bahadur Gharti Magar, a civil society leader in district. “Our district had been bed-ridden since the armed conflict. We are hoping that the elections will treat it and put it back on its feet,” he added. Magar said that Ropla district was formed as a new district in 1950 and around 1976 some portion of Salyan and Pyuthan districts were cut off and added to it. During the same time development initiatives were taken for developing the new district. During the Panchayat era, an airport was constructed in Badachaur. Concrete bridge linking Khugri of Rolpa and Bhigri of Pyuthan, considered as backbone of the district"s development, was constructed. Apart from that few new tracks were opened and some suspension bridges were built. More infrastructures, Magar said, came into existence post 1990. As many as 70 secondary schools were opened. Dozens of higher secondary schools and three campus are presently operational in the district, he informed to Republica. “Following the introduction of the multi-party democratic system in the country, development activities in the district accelerated. Huge progress was seen in the educational sector. Road network penetrated into remote areas,” he remarked. But this momentum was grounded after the rebels made the district their headquarters. A decade of bloody war between the rebels and the government destroyed almost all the infrastructure across the district, Magar claimed. “Roads, buildings, bridges were bombed. All the doors to development were closed,” Magar lamented. Former minister Balaram Gharti also claims that the war left Rolpa completely bed-ridden and to these days it is struggling. “It is easy to destroy but very difficult to build. 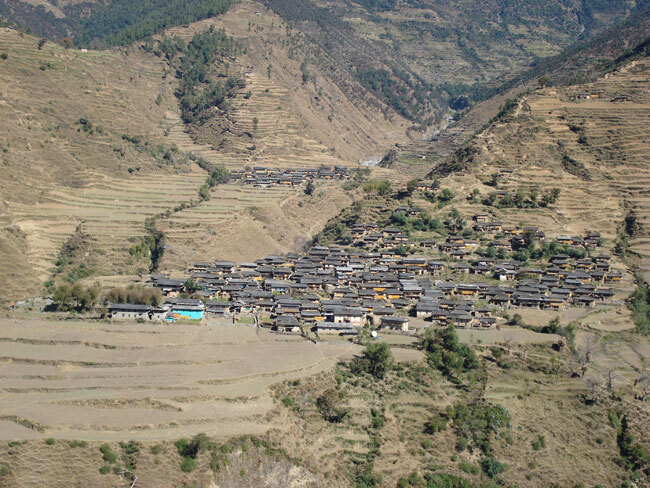 Whatever Rolpa had been able to make since its coming into existence was destroyed,” he noted. During the conflict, among other infrastructures, 23 police posts, 23 VDC offices, four buildings of Agriculture Service Center and five health posts were destroyed. From 1996 to 2006 the state had no presence in the district, Gharti stated. “Our woes are going to end if local polls are held. It is going to change things for good again,” he further said. 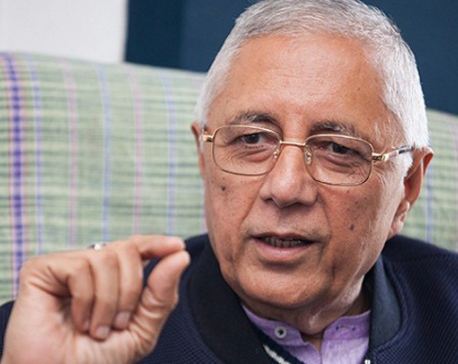 Had there been local representatives, development activities would have resumed in Rolpa and elsewhere, but unfortunately, it could not happen for 19 years, remarks Man Bahadur Khatri, former secretary of Dhawang VDC. “Staffs who were handling the VDC offices could not show adequate zeal to plan and execute development activities. Hence, development suffered. Once we have elected candidates in place, we will be able to see good things happening,” he said. Gharti said that many politicians hail from the region but feels that they never felt the need to come back to the district and do something for it, he said. “Barshaman Pun, Krishna Bahadur Mahara, Jhakku Subedi, Onsari Gharti Magar and many others are from this region. But, they have never been touched by our grievances,” he said. Though late, Gharti notes that local elections might do wonders for Rolpa and other districts" development. “It"s not that the local bodies are not getting budget. The issue is that the budget is not being used properly. There has been lack of accountability. Huge portion of budget freezes in lack of formulating and executing development plans,” said Gharti. “When we get our elected representatives at the local bodies, we can hold them responsible and accountable,” he added.